Experts fear an “explosive increase” in Ebola cases after an outbreak in Congo entered a “new phase” and spread from the countryside to a city. Senior World Health Organization (WHO) official Peter Salama said the spread to Mbandaka meant there was the potential for an “explosive increase” in cases. Mr Salama, the WHO’s deputy director-general for emergency preparedness and response, said Mbandaka’s location on the Congo river, widely used for transportation, raised the prospect of Ebola spreading to surrounding countries such as Congo-Brazzaville and the Central African Republic as well as downstream to Kinshasa, a city of 10 million people. “This puts a whole different lens on this outbreak and gives us increased urgency to move very quickly into Mbandaka to stop this new first sign of transmission,” he said. 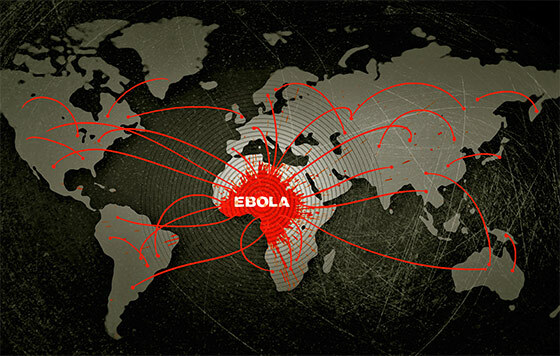 “The good news is that the DR Congo population is very used to Ebola outbreaks,” he added. The Mail reports that health workers have recorded confirmed, probable and suspected cases of Ebola in three health zones of Congo’s Equateur province, and have identified 432 people who may have had contact with the disease, the WHO said. “We are now tracing more than 4,000 contacts of patients and they have spread out all over the region of northwest Congo, so they have to be followed up and the only way to reach them is motorcycles,” Salama said.